P.S. THIS IS NOT A WORLD BOSS BUILD!..buuuut~ might wanna switch out a skill for delphic during world boss to see how it works ._. 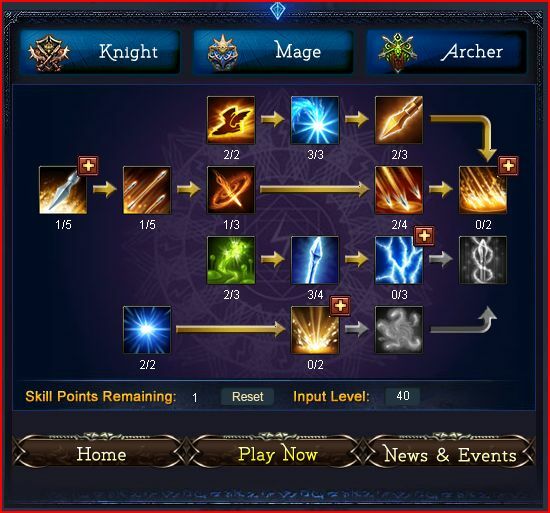 Arrow strike and Multi-shot are your MAIN skills that you will constantly be using. Arrow strike giving 5-10 rage and multishot not using any rage at all but giving a huge damage boost and 100% procs your damage buff. After I saw these 2 skills at level 1, I declare this build 100% useless. There are much better guides out there. Just read this, it’s useless. My build is much better and does much more damage. I feel like its a bit pointless as in u cant really deal that much damage in small period of time.. ive tried it and i can say that i have wasted 825 Vouchers. I appreciate ur effort but it was a bad skill tree.